The Novotel Genève Aéroport France hotel is situated right next to the Swiss border and just 10 minutes from Geneva Cointrin International Airport. For business trips to CERN, the UN, the UNHRC or PALEXPO, a romantic weekend away or a family getaway, enjo y our spacious, comfortable rooms and sample French cuisine in our restaurant with terrace. Free parking is available. Make the most of the mountains and the city at Novotel! Spacious, contemporary in design, and adaptable, the Novotel room is truly a place for living. Perfect for all your needs. 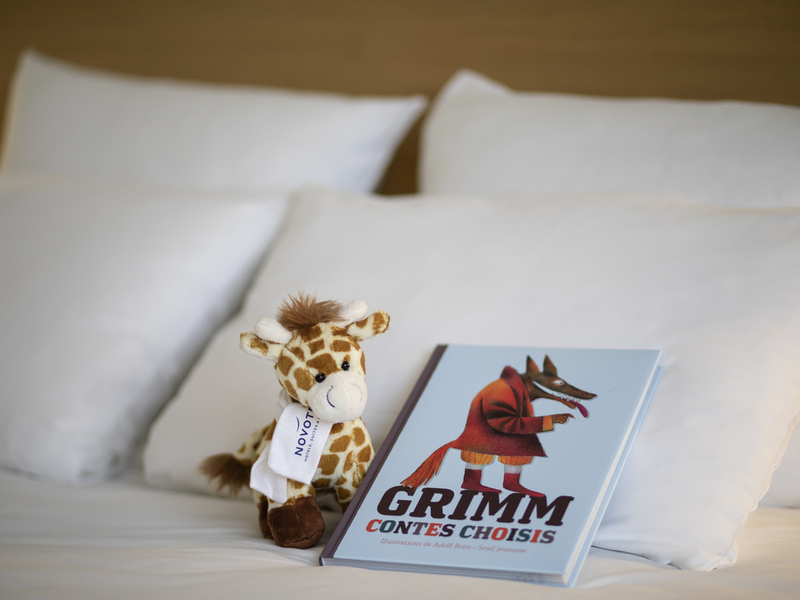 The rooms at the Hotel Novotel Ferney-Voltaire Genève Aéroport are ideal for both business trips and family vacations, and are equipped with a double bed and a sofa bed for 1 or 2 people.